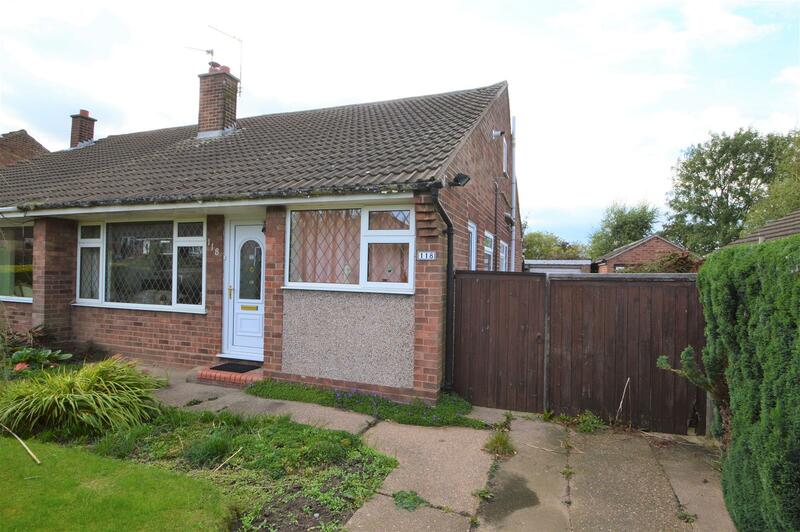 Benjamins are delighted to bring to market this three/four bedroom semi-detached dorma bungalow, with second living area & conservatory, in the sort after village location of Keyworth. Early viewing essential to appreciate the space on offer. This property is situated in the well-established and popular South Nottingham village of Keyworth in a convenient location within walking distance to the local amenities including, shops, schools, sports facilities and public transport into West Bridgford and Nottingham City Centre. The property comprises; Entrance Hall, Kitchen, Front Living Room, Rear Sitting Room, Study, Conservatory, Three Piece Bathroom Suite, Three Bedrooms, Shower Room, Off Road Parking, Single Garage and a Fully Enclosed Garden to the Rear. UPVC front door into entrance hall, carpeted, built in storage cupboard, entrance right into the kitchen and left into the front living room. With double glazed window to front aspect, gas fire with brick surround, radiator, TV Ariel point, telephone point, door to inner hall, central ceiling light, wall lights, carpeted. 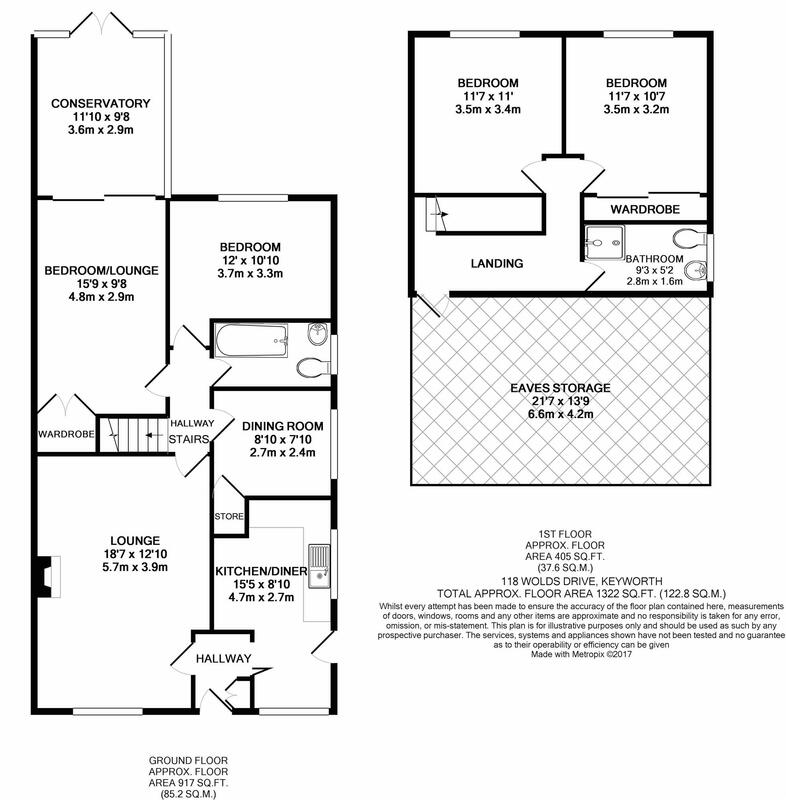 With double glazed window to side, With 3 piece suite comprising panelled bath, pedestal wash hand basin and low flush toilet, wall tiling, vinyl flooring. With double glazed window to side aspect, radiator, storage cupboard. With double glazed patio doors leading to conservatory, electric fire with cream stone surround, radiator, TV Ariel point, central ceiling light, carpeted, understairs storage cupboard. Having double glazed windows to the side and rear, vinyl flooring, radiator, double glazed french doors leading onto the garden. With access through door to loft space housing boiler, doors off to shower wet room, bedroom two and three. Corner shower cubicle with tiled surround, pedestal hand wash basin with tiled splash backs, WC and radiator. UPVC double glazed window to rear aspect, radiator, carpeted. The front garden has established trees and shrubs with driveway and wooden gates providing access to a single garage, having up and over door entry, power and lighting.